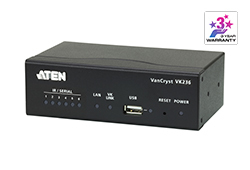 The ATEN Control System, incorporating the ATEN Control Box (VK1100 or VK2100), the ATEN Configurator (VK6000) and the ATEN Control System App, is a standard Ethernet-based management system that connects all the hardware devices in a room or large facility to provide centralized control directly and effortlessly via a mobile device and tablet computer. 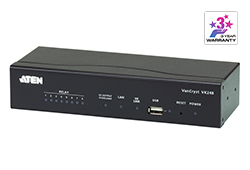 The VK1100 Compact Control Box works as the main controller that provides connectivity to all the hardware devices found in a room. 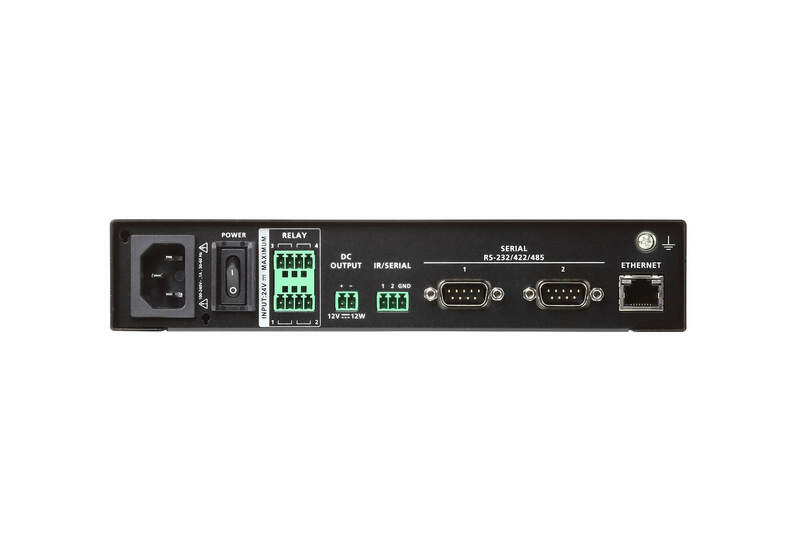 After connecting the hardware, the VK6000 Configurator software provides simple setup of the devices with easy step by step configuration. 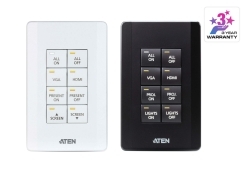 The ATEN Control System App then connects you to the VK1100 Compact Control Box from any iOS, Android or Windows mobile device / tablet computer which empowers you with mobility to control all the hardware devices, in different rooms, whenever and however you like. 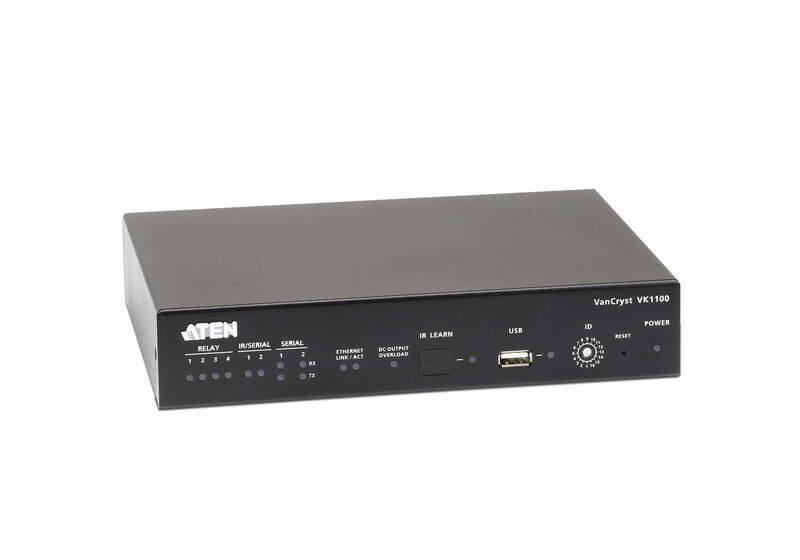 The VK1100 Compact Control Box easily deploys into an existing installation and integrates seamlessly with ATEN VanCryst pro-A/V products and nearly any other hardware devices found in a room, including A/V equipment, lighting, conference systems, air conditioning, motion sensors, power switches and many more. The VK1100 Compact Control Box serves as the central platform where hardware devices are connected - to be monitored, managed and controlled directly via a tailor-made GUI from any iOS, Android or Windows mobile device. The VK6000 Configurator software facilitates a quick setup and control of the devices in a few easy steps via an intuitive GUI. The VK6000 walks you through configuring the hardware, designing the interface and uploading viewer profiles to the VK1100 Control Box. 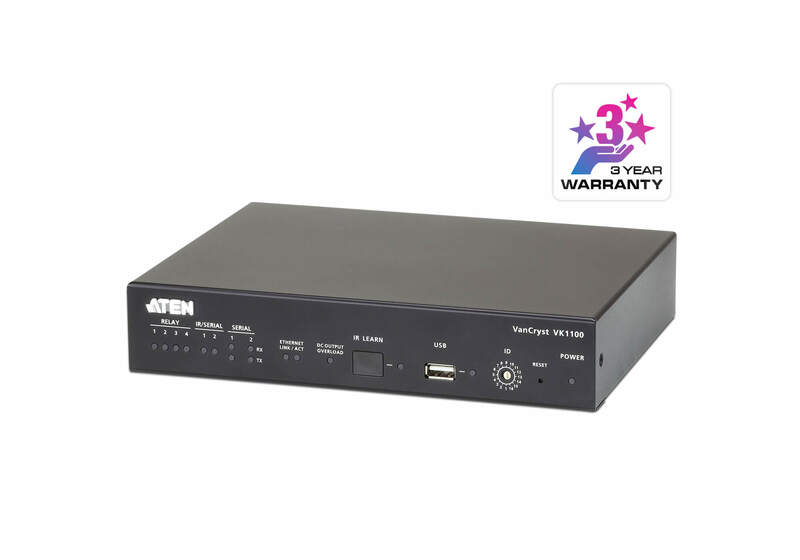 To provide control of the hardware devices, Viewer Profiles are imported via the ATEN Control System App from any iOS, Android or Windows mobile device. 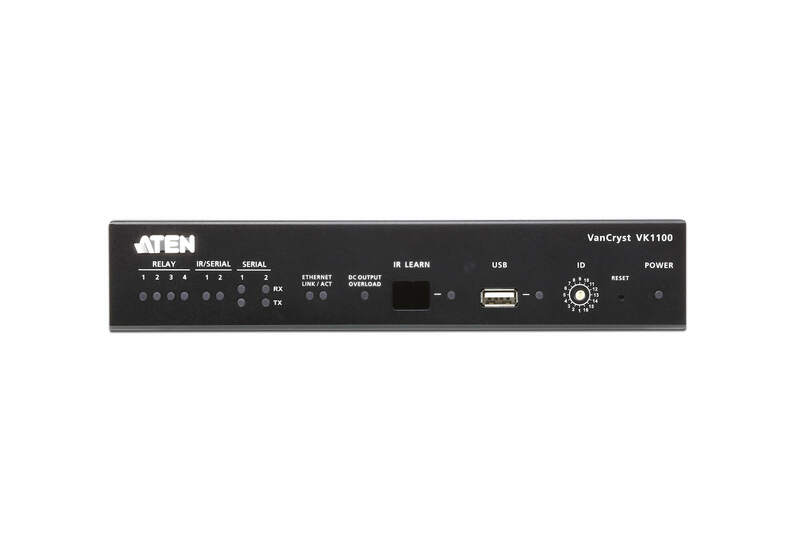 Through an Ethernet connection, the ATEN Control System App enables you to import and update Viewer Profiles from the VK1100 Compact Control Box via a point-n-tap user interface. Each Viewer Profile provides a customized control GUI that grants you quick access to target and control hardware devices. Use of any profile is protected with password authentication to ensure system access. 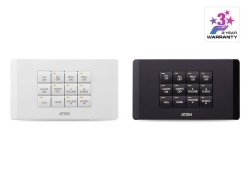 The ATEN Control System is perfectly applicable in meeting rooms, conference centers, boardrooms, classrooms or any room that requires central and mobile control of a variety of hardware devices through a streamlined management system with optimum efficiency and performance. 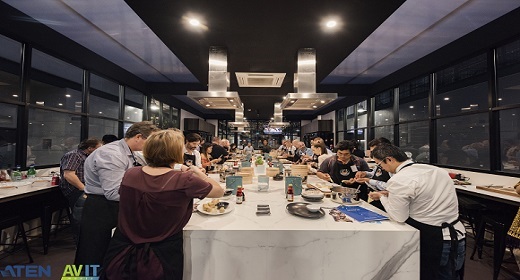 Note: If you require more than 2 licenses, contact the local sales representative. 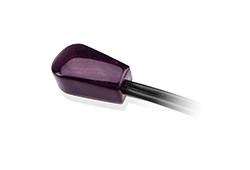 For more information on licenses, see Specifications. 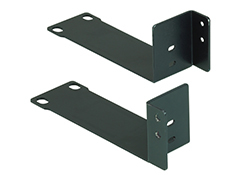 *Note: For details on the supported PC control actions, refer to the ATEN Control System User Manual. 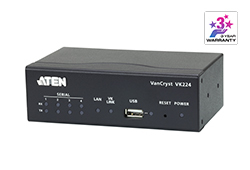 Note The ATEN Control Box comes with two free licenses which are stored in the device itself. 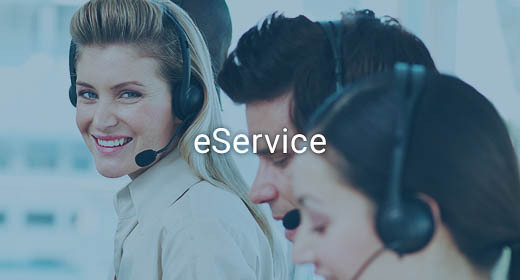 Each time a mobile device connects to an ATEN Control Box for remote control, one license on the Control Box will be occupied. To purchase and add additional licenses to your ATEN Control Box, contact your local sales representative for more information.